'saratoga living' and Putnam Market's wine expert on why your favorite summer wine might not be what you think it is. As spring begins to, well, spring in the Capital Region, that means the center of wine gravity will shift away from the red wines of winter and towards the crisper, lighter and increasingly pink wines of summer. 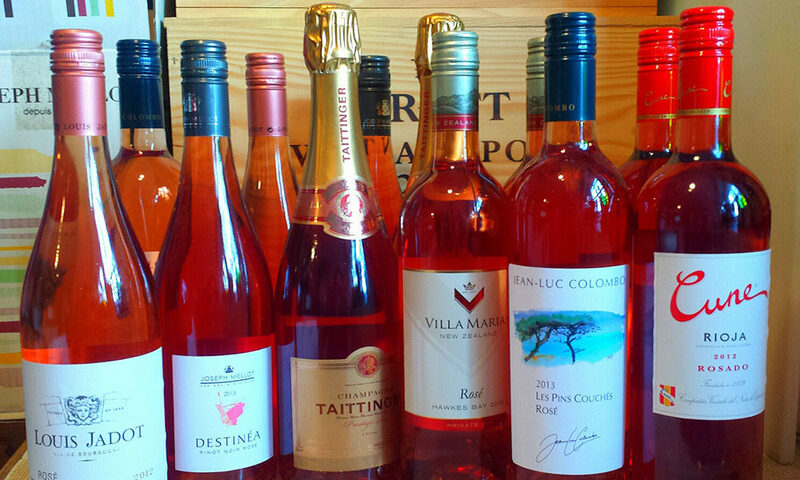 A word of warning: Rosé is falling to the curse of popularity. It’s a familiar tale: a style of wine becomes all the rage, first among opinion-formers and then, with the general public. The industry responds to the unexpected jump in demand by sourcing grapes from wherever it can, making the wine as quickly as possible. More and more labels and wine-making companies enter the market, putting further pressure on the supply of quality grapes, and the substitutes are sourced from places entirely unsuited to making grapes for the in-demand wine style. Prices rise as quality declines. In less than a decade, one extremely popular southern French rosé brand has increased sales from 0 to ~600,000 cases, which suggests somewhere between 2000 and 3000 acres of vineyard—3000 soccer fields—dedicated to growing grapes for this one brand alone. The grapes must come from everywhere—hardly a wine of place. It’s also worth remembering that rosé is cheap to make and spends no time in the cellar—yet increasingly its price is right up there. Meanwhile, while the fashion for very pale wine continues, winemakers will contentedly add a greater and greater proportion of less expensive white wine grapes into the mix. Slowly and inexorably, sentiment turns; people like me start writing pieces like this (or, more outspokenly, like this one from the Los Angeles Times), and the public, so quick to make rosé their favorite, will leave for the next new thing. It’s happened to Riesling and also Beaujolais. More recently, it happened to Merlot, Shiraz and oaky-aged Chardonnay. Days of wines and rosés, indeed. William was born in London, England, where he wrote and produced TV programs. He's married to Catharine Hamilton who, with her sister, owns Putnam Market on Broadway. William runs The Wine Room at Putnam Market where he teaches wine classes for The Wine & Spirits Education Trust.